I'm always excited when a new study about the aging process of skin is published. The more we know about how the process works, the more we can do to combat it. A study recently released in the journal Advances in Gerontology is shedding new light on how our blood vessels in our skin affect how our skin looks as we age. 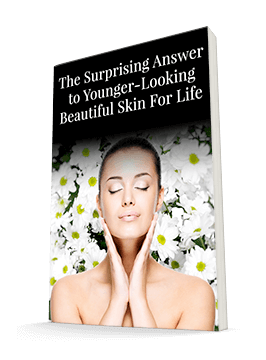 Many researchers speculate that the blood supply to the skin is one of the key factors in aging. Adequate blood supply is essential for an organ or tissue to function properly. And of course, our skin is our body's largest organ. If it doesn't get enough blood, it can't possibly look its best. So this study was conducted to investigate how the blood vessels that supply the dermis layer of the skin change over time. First, the researchers identified two markers to study: von Willebrand factor and antigen CD31. They found that the blood vessels in the dermis always contain these two markers, whether the vessels are only 20 weeks into pregnancy or 85 years old. However, the levels change with age. In particular, the number of fibroblasts in the dermis tends to decrease as we get older, which can lead to fewer blood vessels supplying the dermis and less blood making it to the skin. The researchers concluded that enhancing the blood supply to the skin could be significant in the fight against aging. Fortunately, there is a great way to do that: nitric oxide. Nitric oxide has a number of benefits, but the most important thing it does is boost circulation. Nitric oxide is a gas molecule our bodies naturally produce. But production decreases as we get older. In fact, by the time we're in our 70s or 80s, our bodies are producing 75% less nitric oxide than they were when we were in our 20s. You can get nitric oxide supplements, but many of them are ineffective. The reason they don't work well is they depend on the amino acid l-arginine to boost your levels. But l-arginine can have some negative side effects, such as stomach discomfort. And more importantly, these supplements don't help you produce nitric oxide where your body naturally begins to make it – in your mouth! The body actually needs your saliva to produce nitric oxide most effectively. And if you just swallow a pill, it doesn't have much time to interact with your saliva. That's why I like CircO2. It's not a pill that you swallow — it's a lozenge that slowly dissolves in your mouth. Its unique design helps you maximize nitric oxide production. As you do so, you'll improve blood flow throughout your body, which has benefits for your heart, your energy levels, and, of course, your skin. This study helped us understand how our blood supply to the skin decreases. I'm glad we have a solution to help us increase it.